Buyers surfing property search websites can easily discover the prices and monthly mortgage costs of homes everywhere. But data on another important housing expense is harder to find: utility costs. That may change soon with the release of “UtilityScores” by BKi, an energy efficiency consulting and software developer. The scores could help buyers and real estate agents filter homes more efficiently online by offering insight into affordability differences between homes that wouldn’t normally be apparent. 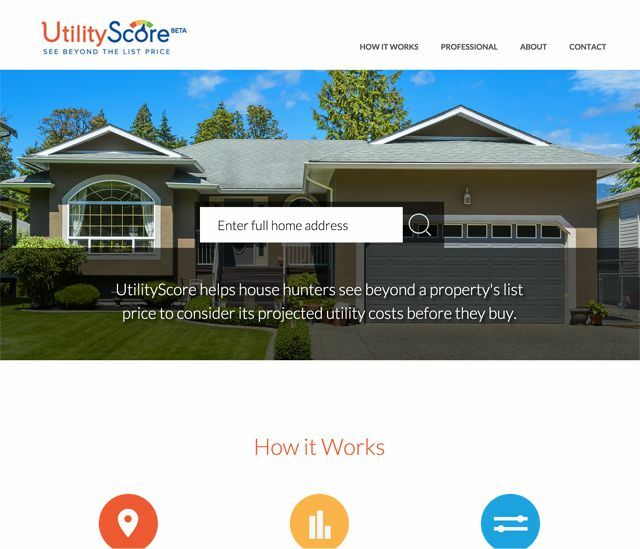 “UtilityScore helps me help my clients see beyond a property’s list price and consider projected utility costs before they buy,” said Patti Frey, a San Francisco Realtor, in a statement that appeared in UtilityScore’s launch announcement. Utility costs account for a significant share of monthly housing expenses (BKi puts the number at 25 percent, citing the Census Bureau) and the size of electric, natural gas, and water and sewer bills varies widely based on a range of factors, including location and home type. UtilityScore rates the utility costs of homes on a scale of 1 to 100, with 100 representing the lowest utility costs and 1 the highest. Every property’s UtilityScore page also provides cost estimates on monthly electricity, gas, and water and sewer bills. Buyers can see how a home’s score stacks up against the neighborhood average. UtilityScores are based on local utility rates, home size and age, and regional climate. You can refine a score by specifying the number of home occupants, preferred thermostat settings, and whether the home would be occupied during the workweek. UtilityScores are currently available only for homes in some major metropolitan areas in California. UtilityScore says that “real estate listing providers, like Zillow, Trulia, Redfin and realtor.com,” Realtors, property managers, builders and lenders could make good use of UtilityScore’s application programming interface (API). Display estimated utility costs (electric, natural gas, water/sewer) and scores on real estate listings. Enable search by estimated utility costs and scores on your site. Show a map that compares utility costs and scores of homes within a metro area.